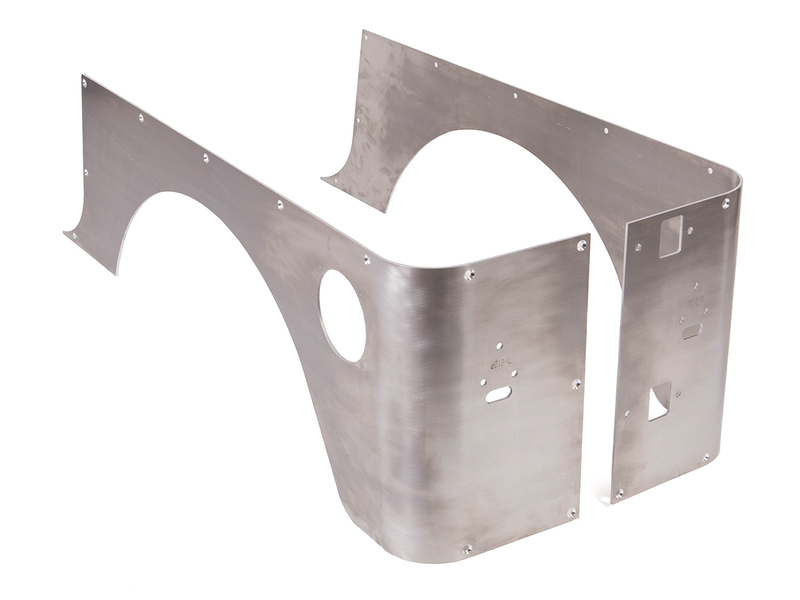 This is the GenRight Off Road Full Aluminum Stretch Corner Guard set for the Jeep TJ. These are a perfect upgrade to better protect your Jeeps tub And Not add much extra weight! This model is an ideal choice for anyone who is weight conscientious and wants to Armor Up their trail rig or cover previous damage. It is best to select this model when Stretching your Rear axle back to keep the wheel opening centered over the relocated axle. Why do you need that? So you can maintain that clean factory look and be able to re-mount the Rear flares.